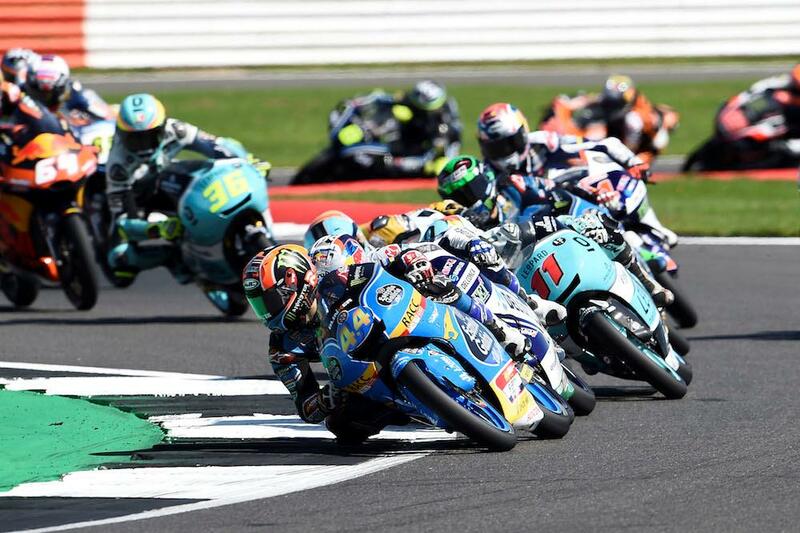 Aron Canet clinched victory in a typically close-fought Moto3 race after a red flag ended proceedings with half a lap to go. The Spaniard beat team-mate Enea Bastianini to victory by just 0.063sec with Jorge Martin third. The battle at the front was shaping up to be an epic with at least the top ten in contention for the win going onto the final lap, however an incident between Bo Bensneyder and Juanfran Guevara brought a premature to the race. The Dutchman was up and OK, but Guevara appeared to have been knocked out in the crash. Later reports suggested he was OK, but that is yet to be confirmed. Gabriel Rodrigo crossed the line fourth ahead of series leader Joan Mir and Livio Loi with the top six split by an incredible half a second. Polesitter Romano Fenati, while involved with the battle for the win throughout the race, crossed the line seventh ahead of the leading Sky VR46 machine of Andrea Migno with Philip Oettl and Fabio Di Giannantonio completing the top ten. 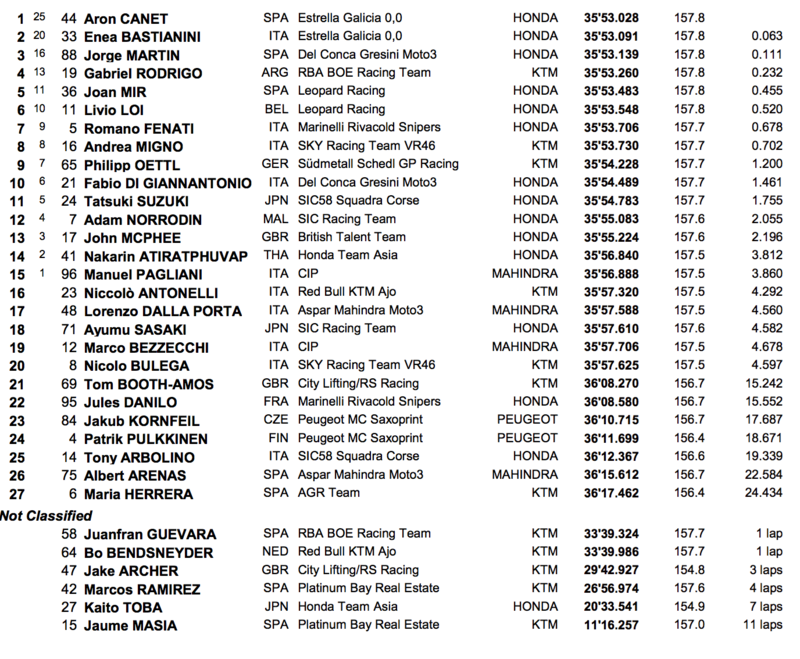 The result sees Joan Mir lead the series standings by 64 points after 12 of 18 rounds with Canet moving second two points ahead of Romano Fenati in third.